If a picture is worth a thousand words, can simply changing the profile picture on one’s social media page speak volumes about their views of world events? Yes, according to a new Pew Research Center survey in association with the John S. and James L. Knight Foundation, which found that 18% of American social media users changed their social media profile photos as a way of showing support for or bringing attention to an event or issue. For the big picture on this social shift, Pew Research shared a look at this social expression of global empathy. This sort of social media expression was found to be more common among people who were politically liberal. Researchers revealed that 26% of liberals used their social profile photos as a means of response to world events and issues, increasing to 30% of liberals between the ages of 18 and 49. In contrast, this behavior was exhibited by merely 16% of moderates and just 14% of conservatives. Black social media users changed their profile photos more than both whites and Hispanics. More female social media users posted new profile photos than men. 22% of social media users ages 18–29 and 30–49 participated in this behavior. 13% of users ages 50–64 changed their photos. Only 5% of users age 65 and older replaced their photos in response. Among the survey participants who changed their social profile photos due to world events, 42% did so following the terror attacks in Paris. In fact, many of them used a filter on their photos with the colors of the French flag. 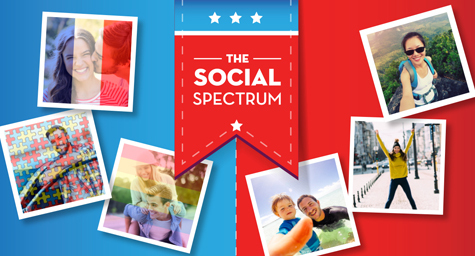 Another issue that earned social photo support was LGBT rights, which inspired 21% of the surveyed social media users to post a different photo, many using a rainbow-colored filter. Get the latest updates on social media trends. Contact MDG Advertising.